Rapid population and economic growth are destroying biological diversity—especially in the tropics. This was reported by a research team led by the German Centre for Integrative Biodiversity Research (iDiv) and the Martin Luther University Halle-Wittenberg (MLU) in Nature Ecology & Evolution. A growing demand for agricultural products requires new cultivated areas. Even though technological advances are making agriculture more efficient, growing populations quickly absorbs these increases. According to the study, an effective nature conservation policy needs concepts to curb population growth and for sustainable consumption. The usual response by policy makers to this sustainability challenge is to promote increases in agricultural and forestry efficiency through technological methods. But is this enough? Scientists led by the iDiv research centre and the University of Halle have determined how land use affects biodiversity and ecosystem services, and for the first time, the ways this impact has changed over time. They examined the role that population growth and economic development play in the loss of biodiversity and ecosystem services globally by combining data on biodiversity, land use and the sequestration of CO2 with economic models for the period between 2000 and 2011. The results show that the growing world population and expanding global economy are resulting in more land use everywhere. This destroys biodiversity and ecosystem services. For example, between 2000 and 2011, the number of bird species endangered due to land use increased by up to 7 percent. 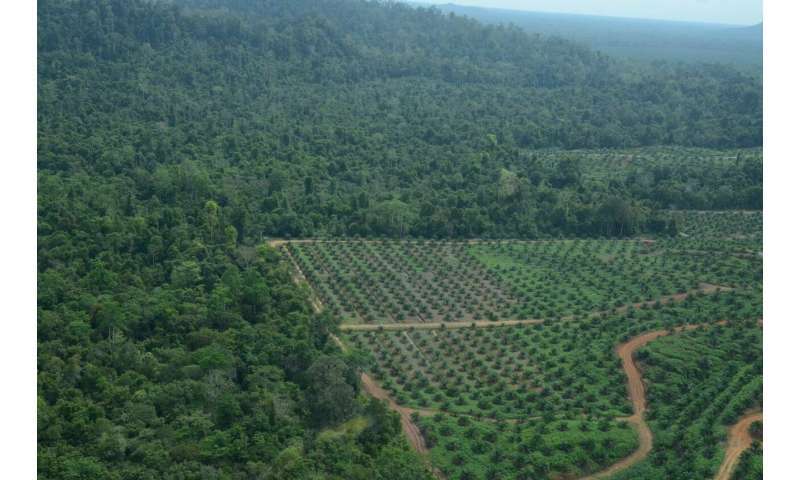 During the same period, the planet lost 6 percent of its potential to absorb CO2 from the air because vegetation planted on newly created farmland cannot absorb as much carbon as natural vegetation. Loss of biodiversity occurs almost entirely in the tropical regions. In 2011, more than 95 percent of the bird species endangered due to agriculture and forestry were from Central and South America, Africa, Asia and the Pacific region. However, the carbon sequestration capacity of ecosystems is dwindling all over the world—a quarter of this decline is due to agricultural and forestry land use in Europe and North America. In the first 11 years of the millennium, cattle farming was largest contributor to the decimation of biodiversity. At the same time, the cultivation of oilseeds increased massively in Asia and in South America. "This is, among other things, a consequence of the increased promotion of biofuels, which is meant to serve climate protection," says the coordinator of the study, Prof. Henrique M. Pereira. Pereira is head of the Biodiversity Conservation research group at the iDiv research centre and the University of Halle. In addition, the researchers wanted to find out to what extent global trade impacts on biodiversity and ecosystems. Almost every food purchase indirectly affects nature in other places around the world. A hamburger, for example, is made from meat from cattle raised on South American pastures, or cattle raised in local byres and fed on soy from South America. For this purpose, forests are cleared, the original biodiversity is destroyed. Thus, the developed countries are outsourcing 90 percent of the destruction caused by the consumption of agricultural products to other regions. In the period under investigation, consumption increased rapidly in other parts of the world, as well. "Emerging economies are currently overtaking developed countries as the main drivers of biodiversity loss," says Pereira. The researchers found that environmental damage per dollar earned decreased throughout the world, meaning that land use has become more efficient. "Nevertheless, total environmental damage increased," says lead author Dr. Alexandra Marques from the iDiv research centre and the University of Halle. "Economic and population growth proceed so fast that they outpace the improvements". "The picture of who is causing biodiversity loss has therefore changed dramatically in a short time," concludes Henrique Pereira. "It is not either the north or the south—it's both." From his point of view, this should also be taken into account in international nature conservation negotiations. According to the scientists, a reduction in population growth is essential to reach the objectives of the UN Sustainable Development Agenda. This would, in the end, benefit both society and nature. At the same time, developed countries should take greater account of their remote responsibility for biodiversity destruction in other parts of the world and the impact of their climate policies on global land use. "We need an environmental policy which addresses climate change and biodiversity change in combination," recommends Pereira.